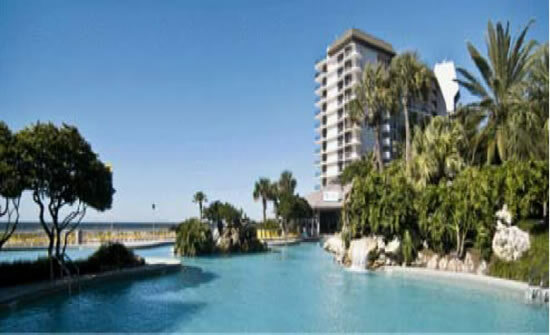 The Alabama/Florida Joint Technical Training Conference has been scheduled for May 28-30, 2019 in Gulf Shores, Alabama. The conference will be held at The Lodge, 21196 East Beach Blvd, Gulf Shores, AL 36542. A sneak preview of the property is available at www.lodgeatgulfstatepark.com. This is one of Alabama's newest developments. Call 251-540-4000 for reservations. The Group Code is Alabama Rural Water Association. You will want to join us for training opportunities in both water and wastewater sessions. You will also enjoy the Exhibit Hall filled with products and services of interest. For more information, watch your mail for training fliers or continue to visit the ARWA website at alruralwater.com for updates regarding the meeting. Potential exhibitors should call our office. 251-981-1737 - When calling, press 0 for in-house reservations and talk to the hotel staff directly. 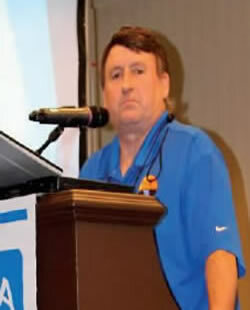 Waterline article of the Alabama/Florida Joint Technical Training Conference. 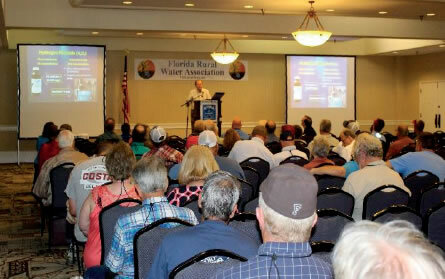 May 15 through May 16, 2018, the Alabama Rural Water Association (ARWA) and the Florida Rural Water Association (FRWA) hosted another very successful Joint Technical Training Conference in Panama City, Florida. This Conference began years ago with each State Association hosting it every other year in their respective State. The 2019 AL/FL Joint Technical Conference will take place in Alabama. This Training Conference is unique because it offers utilities from both Alabama and Florida the opportunity to network and discuss how new and existing regulations affect their respective utilities and how each utility complies with those regulations. The Conference began bright and early at 7:30 a.m. Tuesday, May 15th, 2018 with the registration desk open for business. In addition, the Exhibit Hall offered a continental breakfast to the attendees. The Conference opened in earnest at 9:00 a.m. with Gary Williams, Executive Director of the FRWA welcoming the crowd. Afterwards, Kathy Horne, Executive Director of the ARWA participated in the opening welcoming remarks as well. During the opening session, Kathy Horne and Gary Williams gave a special recognition to two of the Conference Sponsors. Larry Ruffin with L. J. Ruffin & Associates and Randy Bush with Thornton, Musso & Bellemin, Inc. were recognized for their generous sponsorships that made the AL/FL Conference possible. Next on the agenda was the Florida and Alabama Primacy Agency updates followed by a day full of technical training sessions. After a long day of training it was time to relax. There is nothing more relaxing than listening to some good music and chowing down on some boiled shrimp and all the fixings! The AL/FL Joint Technical Training Conference was a great success and we would like to thank all the sponsors and the attendees for all of their support. 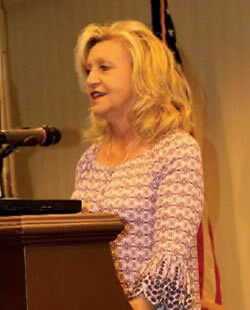 For the full story and pictures, read the Waterline article of the Alabama/Florida Joint Technical Training Conference. Attendees at a training session.